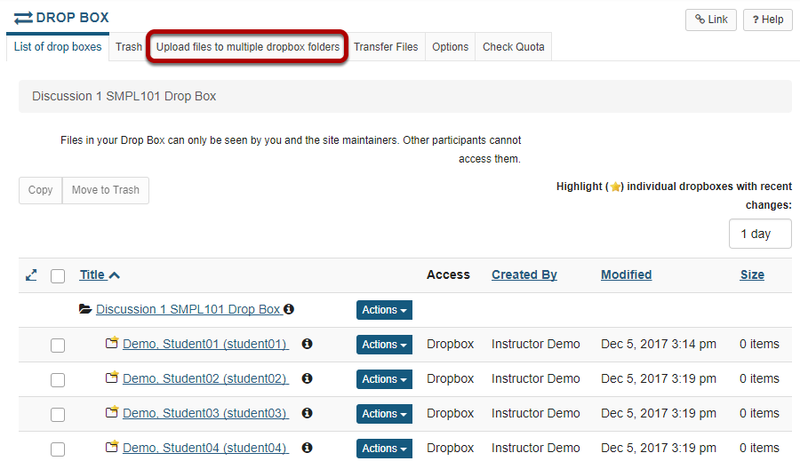 Sakai Community DocumentationSakai 19 User Guide (English) Drop BoxHow do I upload files to multiple dropbox folders? You will see a list of the student folders in your course Drop Box. Select the student name or group from the list of "Available users" on the left and use the arrow buttons to move the name or names over to the "Selected users" on the right. If you want to send the file to every student folder in the entire class, choose the first selection in the list, which is the course membership.